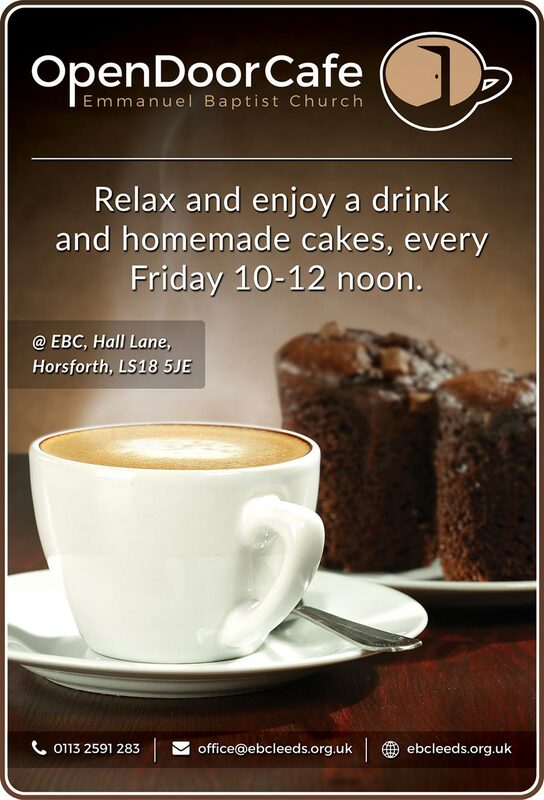 Relax and enjoy a drink and homemade cakes, every Friday 10-12 noon. Venue: Emmanuel Baptist Church, Hall Lane, Horsforth, LS18 5JE. Download the flyer here. Please e-mail us if you require any further information.